Luka Sorkočević (1734-1789), whose beautiful symphonies are performed throughout the world, lived in Dubrovnik. His two sisters were the first women-composers in Croatia. Sorkočević was born 22 years before Mozart. Remark by D. Zubrinic: This is a part of former Dubrovnik web at www.hr (active from 1995 till 2000? ), prepared by the late professor Enver Sehovic, Faculty of Electrical Engineering and Computing of the University of Zagreb. Performed by Salzburger Hofmusik, conducted by Wolfgand Brunner. Natural disasters have often seriously damaged or even almost destroyed the cultural heritage of countries and cities. One of the best-known examples is the 1755 earthquake that devastated the royal palace in Lisbon, which contained a huge collection of music from the 16th and 17th century. Other cities had their fair share of disasters as well. One of them is the Croatian city of Dubrovnik. It experienced a ‘golden age’ during the 17th century, but the earthquake of 1667 and the fire which followed not only killed about half of the population but also destroyed many of its monuments. After that Dubrovnik was rebuilt and expanded until the middle of the 18th century. The Sorkočević family - whose property didn’t suffer any damage in the earthquake - played an important role in the city. Several members of the family were members of the Dubrovnik senate. Luka Sorkočević received an extensive education. His music teacher was the Italian composer Giuseppe Valentini, who was maestro di cappella in Dubrovnik Cathedral in the 1750s. Later on Sorkočević fulfilled several posts in various branches of politics and society. During his relatively short stay in Vienna as ambassador to the imperial court he met several of the leading composers of his time, like Gluck and Haydn, and the famous poet Metastasio. His musical output isn’t very large and consists mainly of instrumental works, which are collected on this CD. Only some pieces have been left out which are extant in such a rudimentary form that they could only have been reconstructed with major additions. These instrumental works belong to the transitional period between baroque and classicism. They can neither be associated with the ‘empfindsamer Stil’ – of which the fact that they are exclusively written in major keys is an indication – nor with the modernism of the Mannheim school. Nevertheless, Sorkočević’ music contains traces of both styles. The ‘largo’ of the Symphony nr 7 shows the kind of expression which is associated with the ‘Empfindsamkeit’ and the first movement of the Symphony no. 1 contains the crescendi for which the Mannheim school was famous. On the whole these are nice, delightful works, which I have listened to with great pleasure. They deliver more entertainment than deep thoughts, but what is wrong with that? The performance of the orchestral works is very convincing and satisfying. Only the slow movements, in particular the ‘largo’ from the Symphony no. 7 which was mentioned before, could have been played with a little more feeling. And the Sonata for violin and basso continuo is far too bland and down-to-earth. There is every reason to be grateful to the performers and the record company for their imagination in recording this music. And let us not forget the musicologist Vjera Katilinić, who has prepared the scores and has written the excellent programme notes in the booklet. 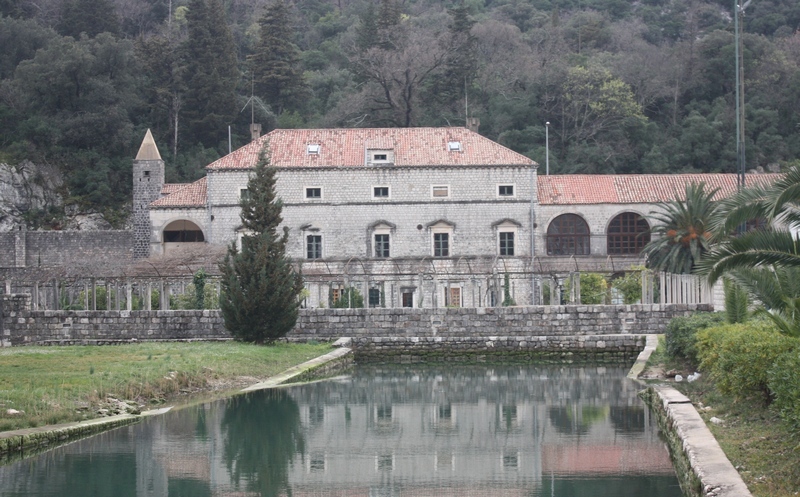 Sorkočević summer palace in Dubrovnik from the 16th century. Kaliningrad Chamber Philharmonic, Russian Federation, Miran Vaupotić - Croatian conductor. Philharmonic Concert Hall - December 10, 2010. Arrangement for mandolin orchestra. Mandolin Orchestra "Sanctus Domnio"
this is new for me - I love his music.